Liz was raised and lives in Carrollton, Texas. 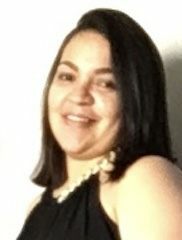 Liz coordinates and schedules patients, process all billing, and all other administrative elements in the office. She ensures that patients are happy with every aspect of their visit. Her job is to keep the office running as smooth as possible, and to be open and available to listen to our patients, concerns and needs. Liz’s hobbies are baking, cooking, and watching Flip or Flop & Total Bellas. 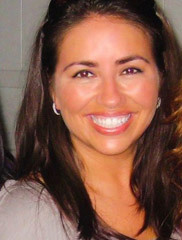 Gaby was born Illinois and currently lives in Farmers Branch, Texas. 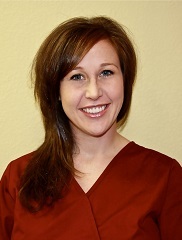 After graduating from Collin County Community College, she promptly joined the Capehart Dental family. Gaby is the lead assistant at our office. She ensures that each patient has a great experience at our office. Gaby enjoys spending time with her family and friends and is a passionate fan of the Dallas Mavericks. Gaby’s hobbies are scrapbooking and watching American Idol. 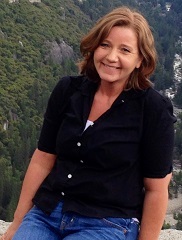 Karen was raised in Southern California but has lived in the Lewisville area for almost 20 years. She has been an assistant for 15 years. She enjoys taking care of patients and making them feel comfortable. She wants all of our patients to have a good experience. She likes to spend her spare time with her husband children and grandchildren. Brittany was born in Abilene, Texas and now lives in Dallas. She is currently attending Richland Community College, as she plans to become an oral surgeon one day. Brittany likes working at Capehart Dental because she is able to provide assistance in helping the patients leave with a smile. She verifies insurance benefits and she helps ensure that the patients understand the benefits they have. Brittany enjoys spending time with her family and watching football. Melissa was born and raised in Mesquite and is a native Texan. Melissa started in the dental field as a dental assistant in 2006 and continued her educational journey into becoming a dental hygienist in 2012. Melissa enjoys improving people’s smile and is intrigued by the systemic involvement of periodontal disease. Outside of the office, she is a mom of two who enjoys hunting and fishing with her husband. Christianna has worked in the dental field for over 10 years. She was born and raised in Nebraska and began as a dental assistant at Offutt Air Force Base. She earned her B.S. in Dental Hygiene at Georgia Regents University, where she won the Hue-Friedy Golden Scaler Award as the top clinical student in her class. 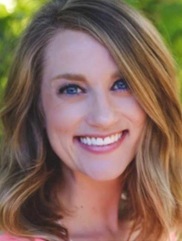 Before moving to Dallas, she practiced dental hygiene in Charlottesville, VA, where she gained substantial experience in general dentistry, pediatric dentistry, and periodontics. She enjoys helping patients have a pleasant experience at the office while they achieve their dream smiles! When she's not at the office, Christianna enjoys knitting, working out, trying new sushi restaurants, antiquing, spending time with her wonderful boyfriend, James, and playing with her 10 year-old Pomeranian, Zae. 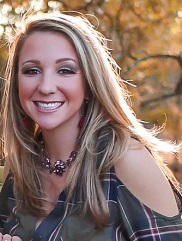 Jennifer Tenley RDH graduated with her Bachelor in Science from Midwestern State University. She is married and has a three year old daughter. Her passion is to give each patient the best quality care possible. She loves learning all she can about Periodontal Disease. She worked at a Periodontal office in Switzerland for almost 2 years. Besides dentistry, she is passionate about doing bible studies. She use to be a Youth Pastor for a local church. She loves to travel and learn about different cultures.